October 1, 2012 – To celebrate the 25th anniversary of the movie The Princess Bride, actors Cary Elwes, Robin Wright and director Rob Reiner have partnered with global humanitarian organization Mercy Corps to raise funds for its relief and development efforts across the globe. Science fiction is all about discovering the unknown — but sometimes you find love along the way. This is a great time to love romantic comedies with a science fiction twist, with the surprisingly sweet Safety Not Guaranteed in theaters, and the apocalyptic Seeking a Friend for the End of the World coming out tomorrow. But science fiction and fantasy have had a love affair with romantic comedies for years. 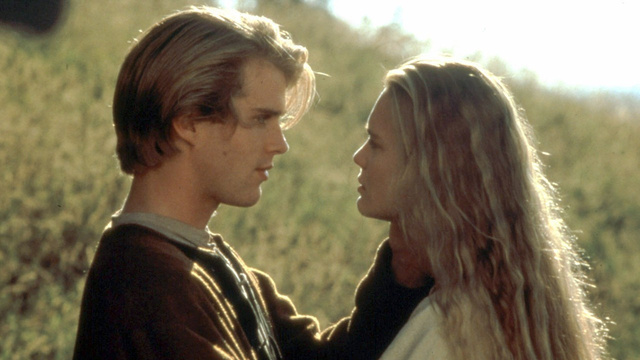 The Princess Bride Cast: Where are They Now? It’s that time of year again, that you either love or your hate, and that’s Valentine’s Day and these are five movies to rent or watch that will make he holiday fun or more bearable. What better night than Valentine’s to curl up and watch a romantic film. Here are 14 movies deemed very romantic. See if they will be the right fit for your movie night. 1. Dirty Dancing: This 1980s flick stands the test of time 25 years later. Baby, a good girl from an affluent family, falls in love with Johnny, a drifter dance instructor, while she’s on a family vacation at a Catskills summer resort. This movie showcases that sometimes love transcends prestige, personal status and well-meaning fathers. 2. Titanic: In another classic movie where love trumps social class, Rose and Jack fall in love aboard the doomed ship. Their passionate connection survives a tragedy and the ultimate separation. Last chance to get the Original Princess Bride Scwamble game!! Now 50% Off!! Disney Theatrical Productions is moving forward with a stage adaptation of the novel and 1987 comedy. Get your favorite Princess Bride items now at 50% off!